The Training Video Series provides detailed information and training about a specific topic. The DBE Supportive Services aim is to provide training on a variety of topics. This training may be in-person or through the Training Video Series. 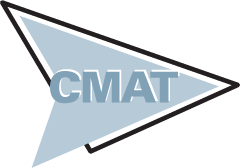 CMAT leaders try to select the mode of delivery (either in-person or video) that best suits the topic. The recordings in the Training Video Series are often 20 to 40 minutes in length and each training set may include multiple videos for a specific topic. If you have an idea for training, either in-person or recording, please let us know.